IWD is a state agency committed to providing employment services for individual job seekers through our IowaWORKS partnership. Employers and businesses can post jobs, hire veterans and apply for qualifying federal tax credits. IWD continually strives to improve processes and align the organization in such a way to provide effective, demand-driven products and services. IWD staff in Des Moines consists of administrative, labor services, workers’ compensation, labor market information, and the unemployment insurance services staff. The agency also maintains a statewide delivery system of 15 regional, 4 satellite, and 8 expansion offices to provide services to Iowans in communities demonstrating need. To create, enable and sustain the most future ready workforce in the nation. We power Iowa’s possibilities by connecting workers to opportunities and employers to workforce solutions. Director Townsend has general supervision over the various services IWD provides to Iowans. The director prepares, administers, and controls the budget of the department and its divisions along with Michael A. Mauro who is the Division of Labor Commissioner and Joseph S. Cortese II who is the Division of Workers’ Compensation Commissioner. She also serves as the chair of the National Association of State Workforce Agencies Veterans Affairs Committee. 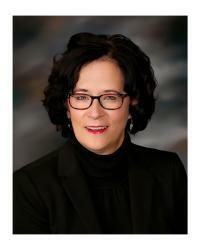 Director Townsend is a graduate of Kearney State College, Kearney, Nebraska, and the University of Nebraska Law School. She is a member of the Nebraska and Iowa state bar. Director Townsend was appointed by Gov. Branstad and confirmed by Iowa Senate unanimously March 24, 2015. She previously served as the Director of the Iowa Civil Rights Commission. Prior to that, Director Townsend was in private practice in West Des Moines, Iowa, in the area of civil rights and employment law. Director Townsend also served as a member of the Judge Advocate General, United States Air Force. She retired from the Air Force Reserve after 21 years of active and reserve duty. Ryan joined Iowa Workforce Development in June of 2009 as a Workforce Advisor. In August of 2015 he became the Unemployment Insurance Division Administrator overseeing the unemployment insurance program for the state. In January of 2019, Ryan assumed the role of Deputy Director where he oversees legislation and business engagement. Ryan’s primary focus is on connecting Iowan’s with opportunities and promoting all things Future Ready Iowa! Ryan is a Veteran of the United States Navy where he worked as Flight Deck Director on board the aircraft carrier U.S.S Abraham Lincoln. He was responsible for more than 10,000 launch and recovery missions. 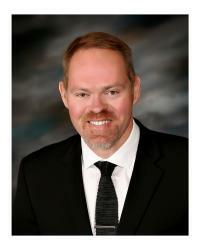 Ryan holds a Bachelor’s of Arts Degree in Business Management from Simpson College and is a lifelong resident of Iowa. As Chief Operations Officer at Iowa Workforce Development, Cathy Ross is responsible for the overall operations of the agency. 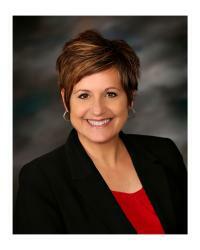 She brings more than 25 years of experience to Iowa Workforce Development. Her experience and leadership will focus on designing and implementing agency operations; establishing policies that promote agency culture and vision; developing and delivering technology-driven business services and solutions; providing outstanding customer service; and leading the agency’s senior leadership team. From 1996 to 2007, Ross was the president and co-founder of Baker Communications, Inc., a provider of innovative technology products and managed services. She led her team to $20 million in revenue before the company was acquired by Iowa Telecom. Ross was also at AT&T from 1988 to 1996, serving in several sales leadership roles. 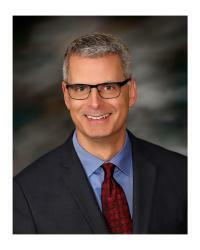 Ross has a Bachelor of Business Administration degree from Iowa State University and is a lifelong resident of Iowa. Rod Roberts was appointed by Gov. Kim Reynolds to serve as labor commissioner effect March 1, 2019. He previously served as the director of the Iowa Department of Inspections and Appeals for eight years. Roberts also served in the Iowa House of Representatives for 10 years. A native Iowan, he was born in Waverly and raised in Zearing. The Labor Services Division is responsible for the administration of state and federal statutes related to public health, safety and workplace issues. Iowa’s Occupational Safety and Health Act administration is located within the division. With an emphasis on voluntary compliance through education and preventive services, the Labor Services Division continues to implement the vision of creating a “culture of safety” throughout Iowa’s labor force. Appointed by Gov. Branstad and confirmed by Iowa Senate April of 2015. Cortese brings to Iowa Workforce Development 34 years of private practice experience with Huber Law Firm where he specialized in workers' compensation and personal injury law. Cortese Received his law degree from Drake University and undergraduate degrees in journalism, history and political science from Indiana University. The Workers’ Compensation Division performs three core functions: adjudicating disputed workers compensation claims, enforcing compliance standards, and educating Iowans about workers compensation law and procedures. The Workers’ Compensation Law was enacted by the General Assembly in 1913. The law provides medical services and wage replacement benefits to workers who sustain injuries arising out of and in the course of their employment. The Workers’ Compensation Law is administered by the Division of Workers’ Compensation under the direction of the Workers’ Compensation Commissioner. Iowa was one of the first states to provide such benefits for injuries, occupational diseases, and occupational hearing losses sustained by workers. Injuries resulting in death, permanent disability, or temporary disability must be reported to the Division of Workers’ Compensation. If a compensation agreement cannot be reached, the employee may file a Petition for a contested case and request a hearing before a Deputy Workers’ Compensation Commissioner. Deputy Commissioner decisions are first reviewed on appeal to the Commissioner, may be appealed beyond the Commissioner first to the district court and then to the Iowa Supreme Court. The Iowa Workforce Development (IWD) Equal Employment Opportunity/Affirmative Action Policy Statement is provided for review.